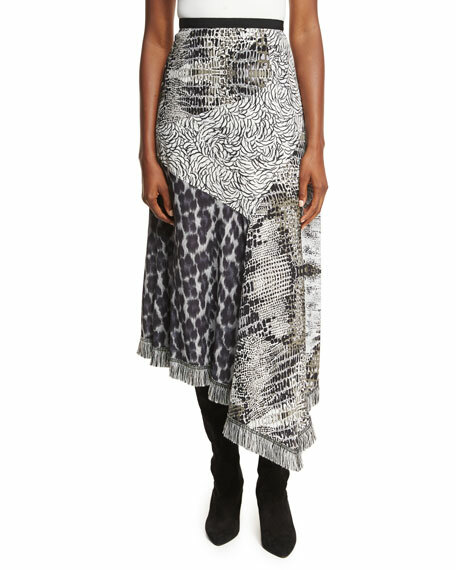 Andrew Gn animal-print patchwork skirt. For in-store inquiries, use sku #2264032. A.L.C. 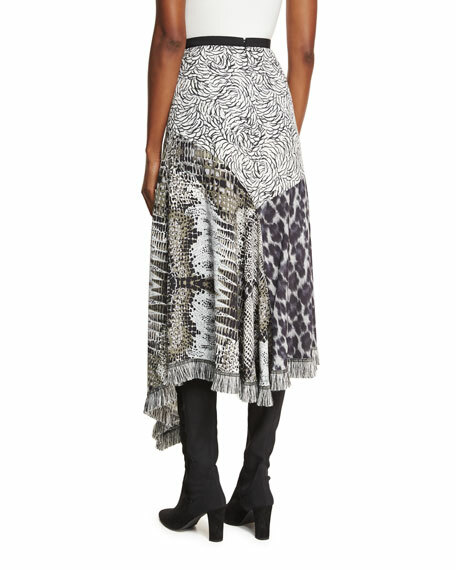 "Maya" skirt in snakeskin-print. Drawstring waistband. A-line silhouette. Asymmetric hem. Maxi length. Pull-on style. Polyester. Dry clean. Imported. 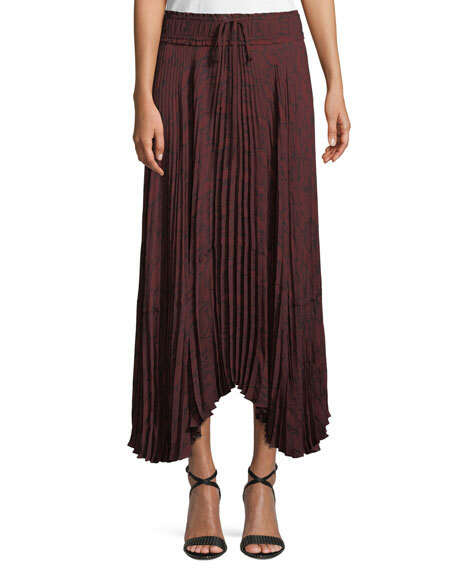 Alice + Olivia "Marcella" skirt. High-rise. A-line silhouette. Flounce hem. Mini length. Back zip closure. Polyester; lining polyester/spandex. Dry clean. Imported. 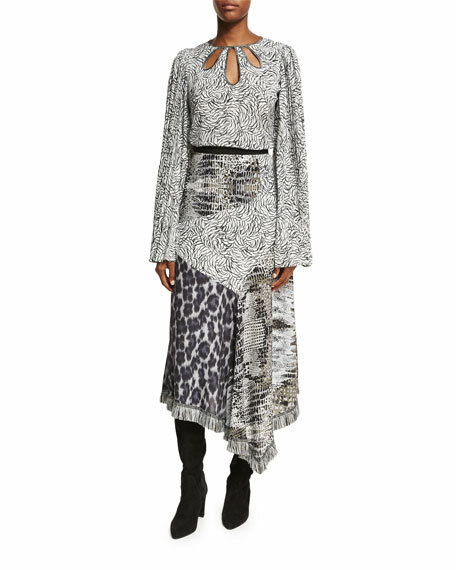 Derek Lam 10 Crosby asymmetrical geo-print silk skirt. Approx. 29"L down center back. Sits at natural waist; ties at side. True wrap style. Flared hem. Ankle-length. Dry clean. Imported. 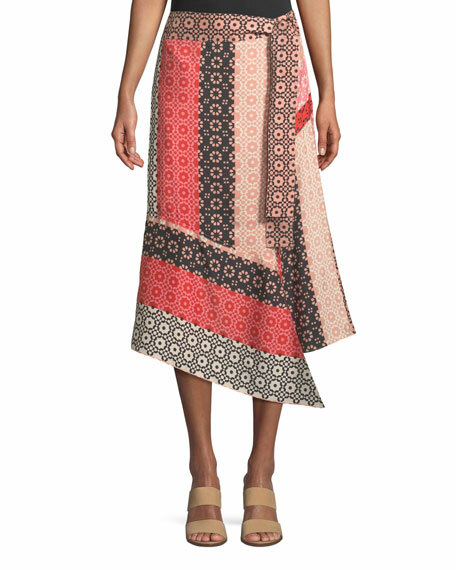 Jason Wu crinkled crepon skirt with floral and dotted print. Natural rise. Wrap style with thigh slit. Asymmetric hem. Midi length. Silk. Lining, silk/spandex. Made in USA of imported materials.